The US State Department will not release Hillary Clinton’s emails on the TPP trade deal until after the November election, reversing an earlier decision to make the documents public. Radio Sputnik’s Loud and Clear speaks with Sam Sacks, co-creator of the investigative website District Sentinel and Mara Verheyden-Hilliard, executive director of the Partnership for Civil Justice Fund (PCJF), about why the federal government would want to keep these emails from the public. ​"This is going to be a pretty critical issue during the election." Saks said. "You’ve seen Donald Trump take a position against TPP. 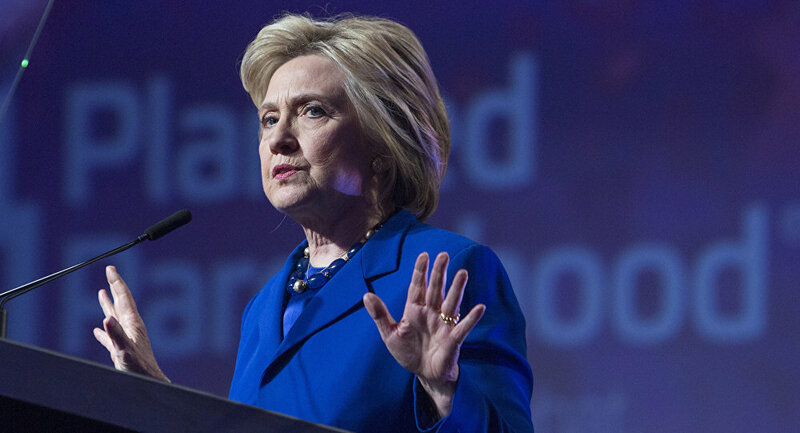 Hillary Clinton was forced from the left to abandon her previous support for TPP. In 2012, she said the TPP was the ‘gold standard’ of trade deals. So naturally,a lot people want to know if there was any other sort of lobbying or pushing to get TPP passed that might contradict the statements she’s making now." Loud and Clear Host Brian Becker asked Verheyden-Hilliard about making FOIA requests while Clinton was Secretary of State, and if she felt the agency used delay tactics. "They have drawn out requests, but notably it does seem to be that the more politically sensitive the request, the longer it takes to get the materials to which the public is entitled," she says. "And it bears noting that under the Obama administration…despite when he came into office talking about how there would be greater transparency, the ability to get prime materials from the federal government for the public to see has simply gotten worse." Verheyden-Hilliard added that while the State Department may not include emails from Clinton’s private server in its searches, she does not believe the agency’s claims of plausible deniability. "I still find it not credible that the State Department didn’t know there was a private server or that there were emails that needed tracking down," she states. "Because they would certainly notice that somehow they never seem to have any emails from the Secretary of State when they were looking for responses to the FOIA requests." Saks feels that the State Department could be using a systemic issue to shield themselves from further scandal. "The Republican National Committee has filed a request for all of [Clinton’s] staff emails which would probably reveal more than her personal emails." he explained. "The State Department said those emails won’t be released for another 90 years. That’s how long it would take them to go through all of these documents and records and release them. It speaks to how bad the management system is at the State Department is." "I would be surprised if there wasn’t some political motive at work here as well." Verheyden-Hilliard recalled first hand experiences with the calculated dawdling of the federal government when it comes to releasing potentially damning information. "In our litigation or investigation where we’ve obtained FOIA documents from a lot of different federal agencies, we see time and again their internal thinking where they are highly conscious of press inquiry, how to handle press inquiry, how it’s gonna look to the public," she says. "So they are making obvious political decisions over and over again about what information the public can know and the timing of when the public can know that information, if ever." Clinton has been under investigation for mishandling classified information since it was revealed she used a private email server during her time as secretary of state.